Sydneysiders woke to a beige-coloured sunrise after heavy winds blew an enormous cloud of dust over the city. Known as a “dust front”, the cloud reduced air quality levels to hazardous levels in the Illawarra and South-west slopes regions. The cloud of dust is so large that it stretched from the New South Wales South Coast right up to the Queensland border. Many residents took to social media to share their images of the dust storm, which many described as felling “apocalyptic”. “A dust storm has hit Sydney. I don’t want to breath!” tweeted one user. “Sydney is starting to feel like a user acceptance test for the apocalypse – first fire then rain and now dust,” tweeted another. High winds also posed major problems for firefighters, who are currently battling up to 50 separate blazes in NSW’s north-east. 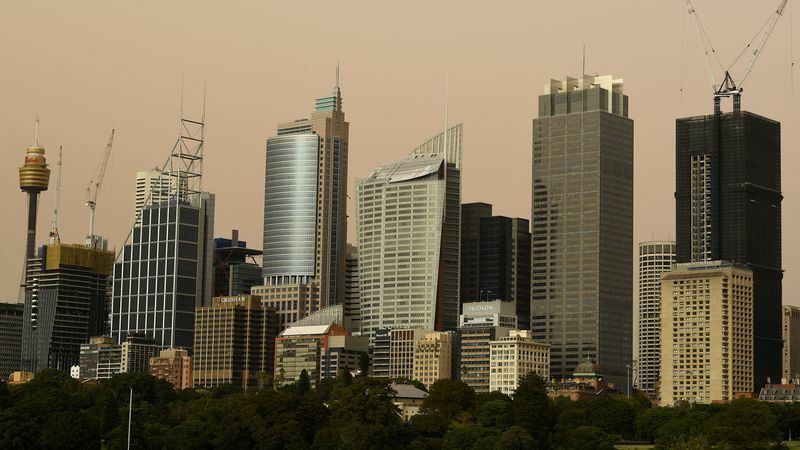 The Bureau of Meteorology has forecast the dust to clear out of Sydney this afternoon, easing conditions for residents with respiratory problems such as asthma.